Improving community healthcare and advancing medical research through clinical trials. 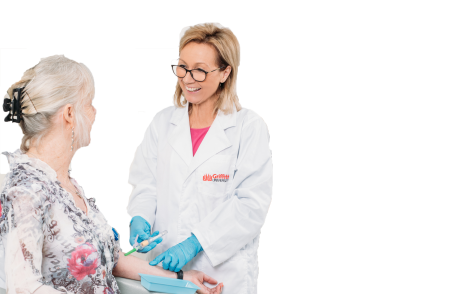 Griffith University's Clinical Trial Unit, adjacent to the Gold Coast University Hospital and part of the Gold Coast Health and Knowledge Precinct, provides state-of-the-art facilities and professional coordination services for phase I-IV clinical trials. As a Core Research Facility of Griffith University we support staff and collaborators to conduct a wide range of investigator initiated trials across a diverse range of therapeutic areas. We also provide trial services to commercial clients such as the biotech, pharmaceutical, nutraceutical and complementary medicine industry as well as clinical research organisations. 4-bed procedure room with emergency trolley, AED, ECQ and IV infusion equipment. Drug preparation room with temperature controlled storage facilities and biosafety cabinet. Our growing network of clinicians and capabilities, together with large our database of patients and healthy volunteers, enable us to support a wider range of therapeutic areas. The Clinical Trial Unit provides participants the opportunity to participate in clinical research within a supportive and safe environment. We are always looking for healthy volunteers and participants with health conditions to volunteer for a wide variety of trials. If you are interested in participating in our clinical trials please register your interest and you will be notified by email when a new trial becomes available for which you may be eligible. Start your trial with us as a researcher or volunteer to be a part of our current trials.